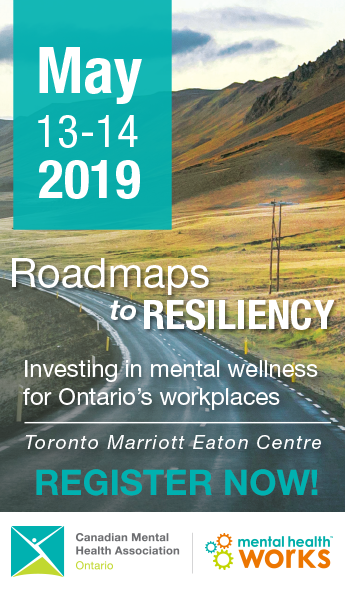 In 2014, Ontario created the Mental Health and Addictions Leadership Advisory Council to advise the Minister of Health and Long-Term Care on how to implement Ontario’s Comprehensive Mental Health and Addictions Strategy (the Strategy) over a 3-year period. There are 20 members of the Council, including Camille Quenneville, CEO, CMHA Ontario. The full list of members of the Council can be viewed on the Government of Ontario website. They represent a broad range of people that work on mental health and addictions issues including individuals with lived experience, community mental health and addictions agencies, hospitals, nurse practitioners, research and academic institutions, Local Health Integration Networks, and police services. The Council has been mandated to report on the progress on the Strategy on an annual basis. 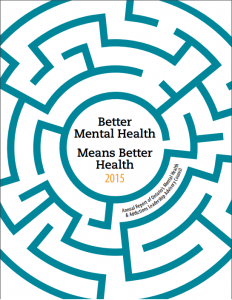 The initial Annual Report of the Council produced in 2015, Better Mental Health Means Better Health, can be found on the Government of Ontario website. In addition to discussing the Council’s five priorities, they list their urgent recommendations for government which includes the need to improve transitional supports from youth to adult services, create parity between the province’s mental health and addictions systems and other parts of the health-care system, improve supports for Indigenous people, prioritize investments in supportive housing, and the need to ensure a single provincial ministry is handling youth addictions policy and programming. The Council’s report adheres to the objectives of Ontario’s Comprehensive Mental Health and Addictions Strategy, Open Minds, Health Minds, from 2011. Open Minds, Health Minds raised six key challenges about mental health and additions services: the access to services, equity for marginalized groups who receive services, the fragmentation of integration between the two facets of mental health and addictions, the quality of services, the lack of measurable data, and prevention, promotion and early intervention. To work collaboratively with other ministries and stakeholders to promote, prevent and intervene early across the lifespan. Such investments are known to have the highest returns on mental health spending in terms of cost savings in education, justice and health care sectors. To address the chronic service gaps in youth addictions, psychotherapy and supportive housing. The Council highlights that current gaps in service capacity for youth addictions, in addition to establishing service standards and referral pathways for psychotherapy services, must be addressed urgently. Additionally, to close the gap in existing supportive housing, the Council recommends creating at least 30,000 units of supportive housing over 10 years. To undertake steps toward large-scale system transformation by leveraging and building on the work of the Ministry of Children and Youth Services to achieve a seamless transition for children and youth to the adult system. Read the complete report on the Government of Ontario . Phase 1 – Open Minds, Healthy Minds: Ontario’s comprehensive mental health and addictions strategy. Phase 2 – Open Minds, Healthy Minds: Ontario’s comprehensive mental health and addictions strategy.